Overview: Southern Vietnam is not only famous for Mekong river delta with the beautiful, colorful and peaceful sea of rice but also famous for some beautiful sandy beaches and colorful hill tribes in the highlands. 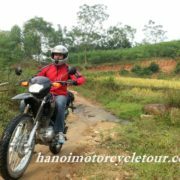 Beside plenty of motorcycle tours to Mekong River Delta we offer a lot of quality motorcycle tours from Saigon or Ho Chi Minh city to the beaches on the coastline or to the central highlands of Vietnam which give you full chance to taste the hidden charm of Vietnam nature and local culture! 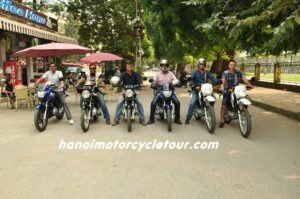 At 8 AM, start to leave away from the bustle of Saigon with a short and enjoyable motorbike tour from Ho Chi Minh city center. We can have alot of stops to have visit to Minh Dam Army Base, Thuong Chieu Monastery pagoda or dip your body in the hot water springs in Binh Chau or open your mind to learn more about Buddhism when visiting Long Ban old pagoda and the historic vestige Dinh Mountain . 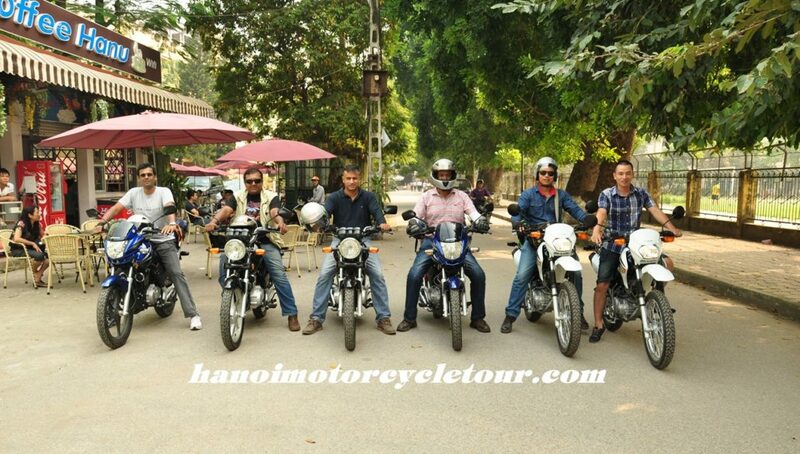 It is short Saigon motorbike tour but offers a lot of stops to visit some interesting attractions to experience deeply the local culture. We will finish the first day tour from Ho Chi Minh city with a swim on the Long Hai beach if the weather permits. Today is another short ride but could be the highlight of the trip. 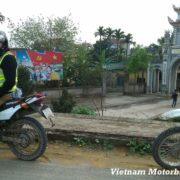 After breakfast, we start motorcycle touring on the coastal roads heading to Mui Ne, enjoying the beautiful ride through the scenic coastlines, learning more about the Champa history and culture by visiting their villages and ancient towers. We must finish the great motorbike tour on coastal road early to relax on beautiful beach of Mui Ne or dip body in the ocean after a hot riding day. Start the day from early morning, right after leaving Mui Ne we take some visits to the traditional rustic villages to understand more about the daily life of the local fisherman or the farmers who plant the unique dragon fruit, visit to fairy springs, red canyon, white sand dunes. Then continue the Vietnam motorbike tour to the Central Highlands and stop in the K’ho ethnic minority village to learn the culture of their wild life in the edge of the Central Highlands. Arrive in Bao Loc after visiting Dambri waterfall. 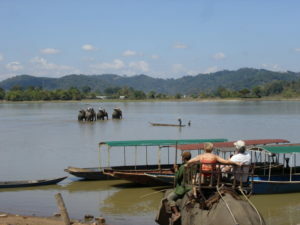 This motorbike ride from Bao Loc to Dak Mil offers a lot of interesting visits to the green tea farms, the colorful Di Linh Market with different cultures and customs of hill tribes, enjoying the hospitality of the E’de hill tribe by visiting their homes, trek through the nice rainforest to see the beauty of the area. Arrive in Dak Mil around 5 pm. 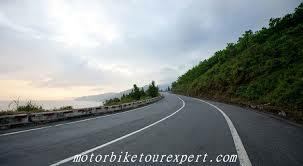 Today is another enjoyable motorbike tour in Central Highlands Vietnam. 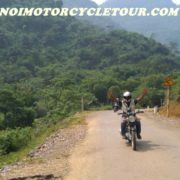 We will ride through the Dray Sap and Dray Nu waterfalls (one of the most beautiful waterfalls of Vietnam) before have a great Ho Chi Minh trail motorcycle tour up to the north to the Lak lake. The Motorcycle ride on Ho Chi Minh trail offers plenty of historical sites and the breath-taking nature of the areas, we can have stops at some roadside villages to learn how the locals make rice papers, noodles, or trek to the top of elephant mountain to enjoy the panoramic views of the area, and then travel to Lak Lake before the sunset to have some great shots of M’nong Ethnic minority’s fishermen on the lake. Overnight in Lak lake. We can choose to do home-stay or stay in the guesthouse. 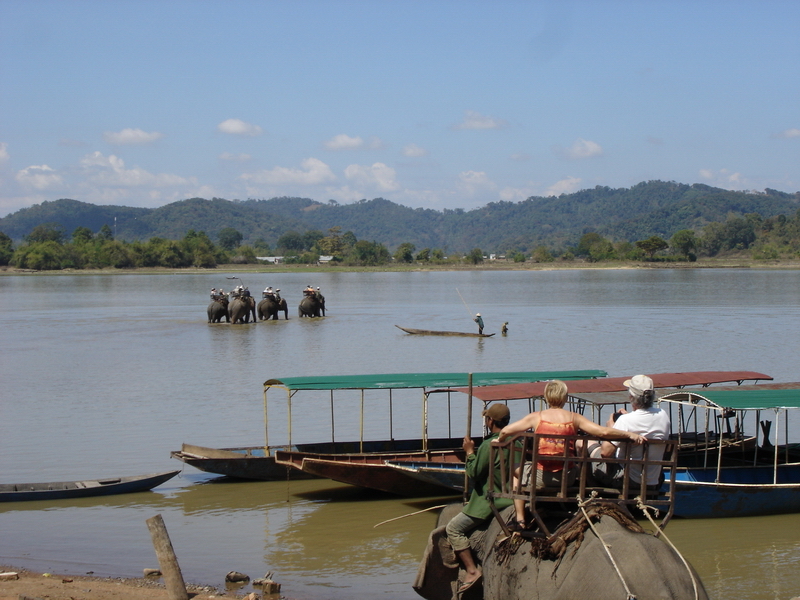 You can ride elephant or boat to pass the Lake to visit M’lieng ethnic minority viilage and then explore Jun village to learn more about the rural life of M’nong tribe. Stop at foot of the mountain to see how locals make chopsticks, incenses. Ride through the windy stunning mountain roads of Phoenix Pass is an unforgettable experience of motorbike touring in Vietnam. We will then stop for a visit at the natural hot water springs to enjoy the nature and its beauty. 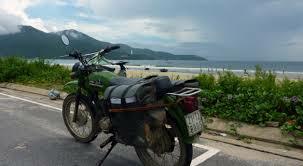 Arrive in Nha Trang about 5 pm check in and stay overnight. 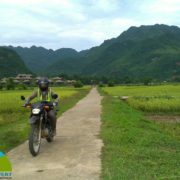 It is today a great motorbike tour from Nha Trang through the rustic but peaceful countryside of the mountain town of Khanh Vinh, explore the daily life and their cultures of different ethnic minority groups. Learn about the farmers who cultivate goods on their lands such as flowers, coffee, tea, mushrooms, vegetables. And then head to Dalat and visit the highlights of Dalat like Crazy House, Dragon Pagoda, Former Railway Station,… arrive in Dalat around 5p.m. Check in the hotel of your choice say good bye to the staff of Vietnam Motorbike Tour Expert and finish our tour!